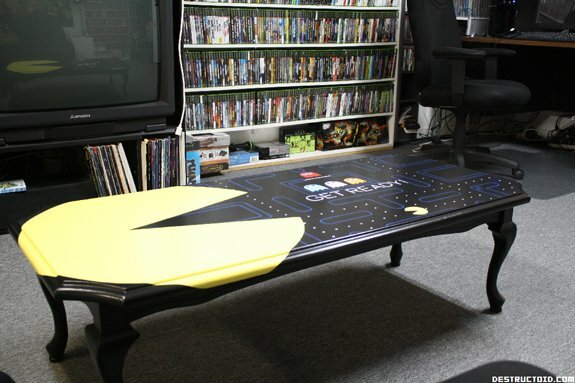 We have seen a lot of fun video game themed furniture here on geeky gadgets, the latest is this awesome homemade Pac-Man Coffee Table. 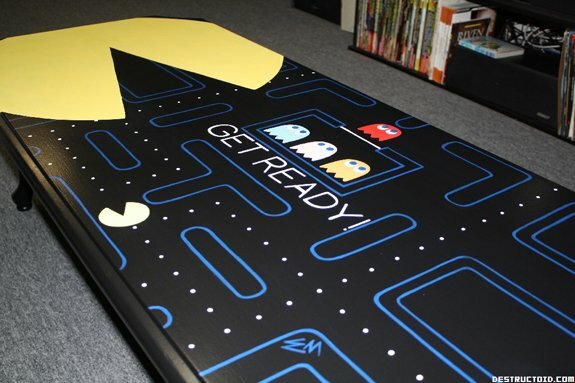 This amazing coffee table was the idea of game collector Syd Bolton, Syd decided to hire artist Erin McFadden to turn his regular coffee table into this cool Pac-Man themed one. 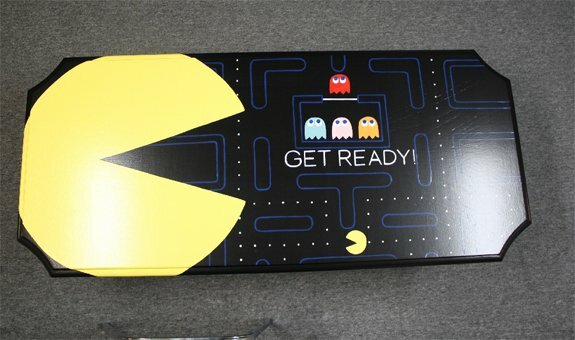 I have to admit this is very cool, it would look great in any geeks apartment.